If you’re reading this, you’re probably as obsessed with food as we are (and we don’t blame you!). 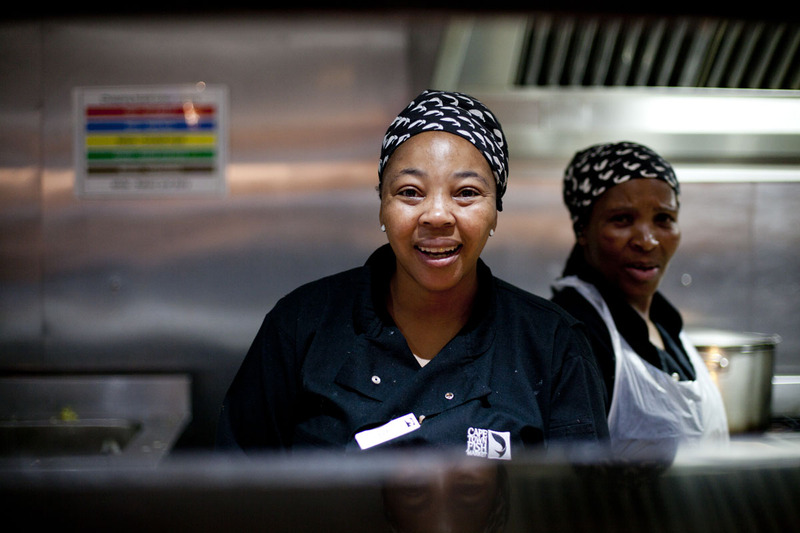 At Cape Town Fish Market, we love good food. 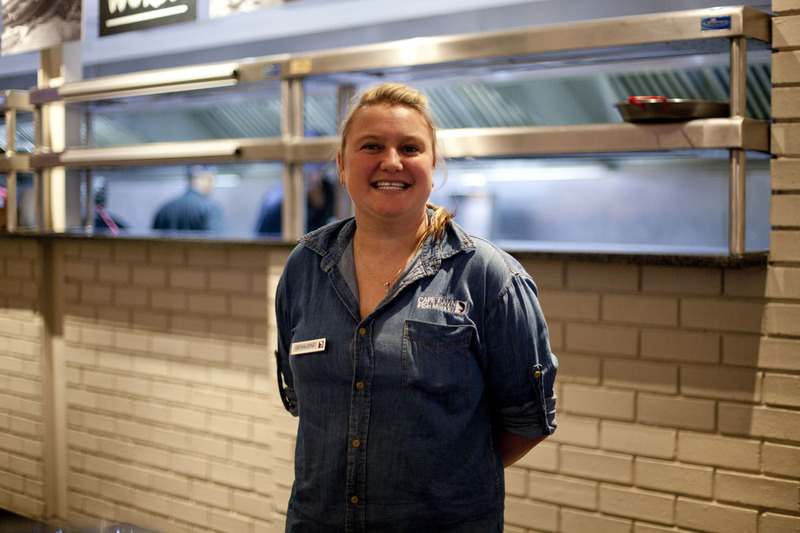 We love cooking it, we love serving it, and we love eating it. Our extensive menu includes everything from Fish & Chips to Poke Bowls, and Sushi to Ribs. We make sure to taste all these dishes so that we can make informed recommendations when customers ask us about the menu. It’s a tough job, but someone’s gotta do it! 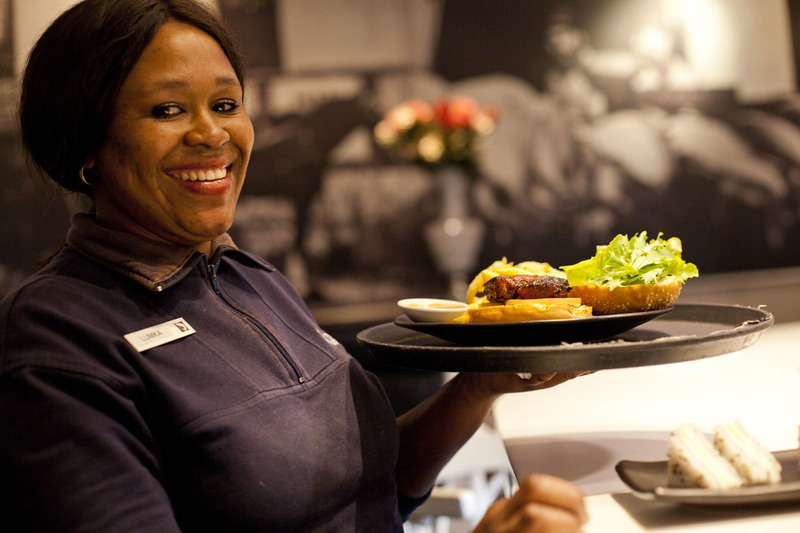 Bar lady, Nolase Mkhetho, joined us as dishwasher in 2007, after which she became a runner and then joined the bar team. She’s a little reserved, but she knows what she likes when it comes to food “I’m Xhosa! 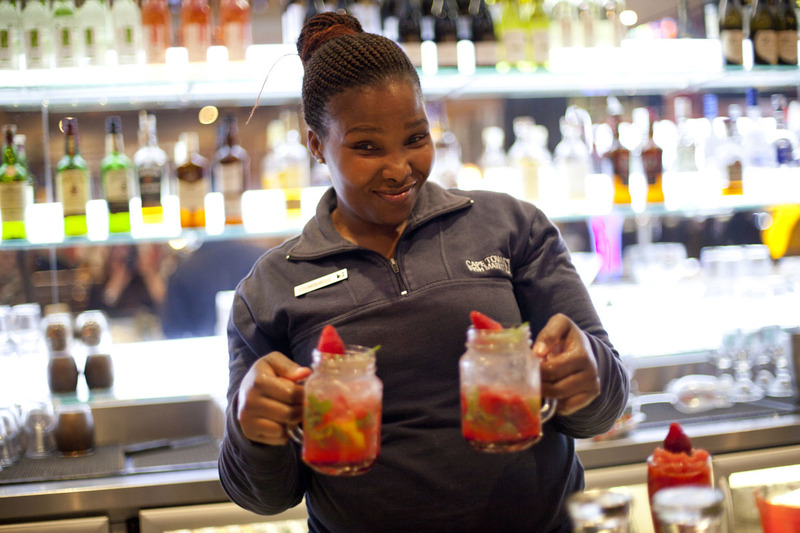 I love meat and the ribs are always a winner for me.” On the drinks side, the Strawberry Mojito cocktail is her favourite. 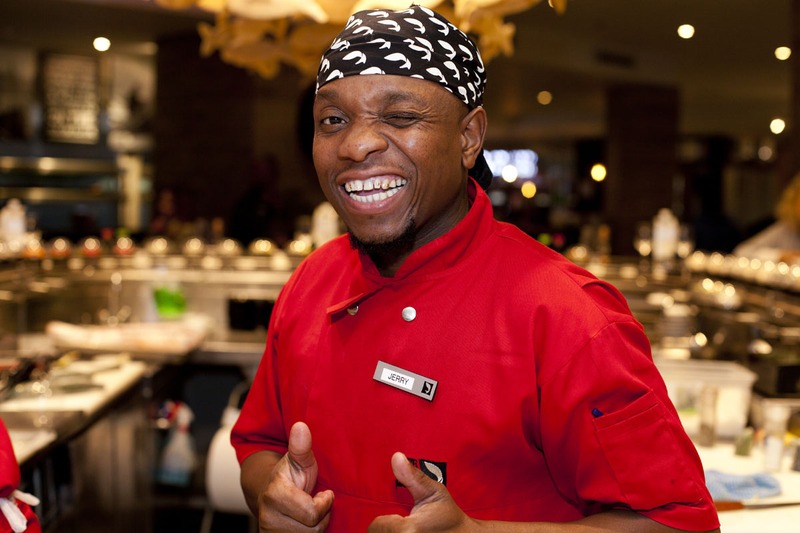 Jerry Ndlovu, who’s been working at CTFM for 8 years, started out as a runner and was then trained as sushi chef. He loves sushi. “What’s there not to love about it? We make the best sushi and I’m not just saying that because I make it. Our customers love it too. 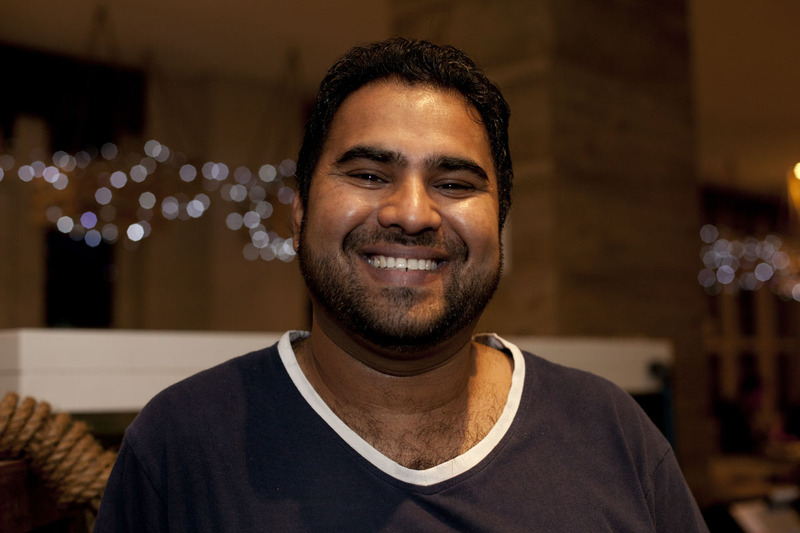 And now that I can make sushi, my girlfriend loves me even more,” he quips. With all this great food, we don’t blame you if you have a little option anxiety when it comes to choosing what you want to eat. Luckily our staff is well-versed on the menu and can help you order with confidence. We invite you to come and experience our menu so that you can find your own favourites. Please go ahead and ask the staff for a recommendation – you won’t regret taking their advice.